Before you can do this you must have stored an annotation preset. 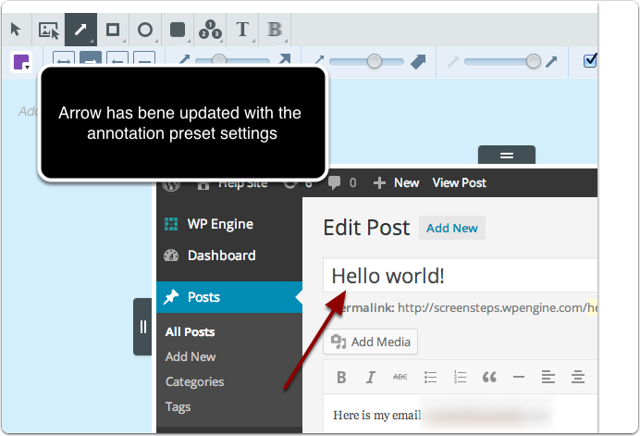 Right click on the annotation type you want to update. 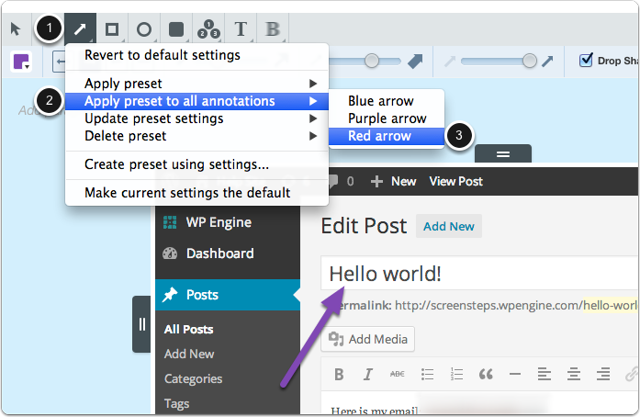 Select Apply prest to all annotations. All of my arrow annotations are updated to have the red background.